I've followed this site for years, but never joined. Well FedEx is currently en route to my house today to drop off my spanking new 18" WSM so I figured it was time to join in the fun. Please be patient as I haven't posted on forums in a few years and I will need to relearn the syntax and such for things. Also, I need to find a place to host pictures. I'm a brewer on the central coast of California, so if you are ever in Lompoc or Solvang drop by one of my joints and I'll buy you a beer! FedEx just delivered the smoker...... Its almost worthy of taking a half day and going home right now. lol. Prolly The Renown Mr. Brown this weekend to break it in..... We will see. I love that recipe. Chris welcome, and congrats on a great cooker, i have had mine a few years and just love, hope you have chance to cook something soon keep us informed on your progress. Welcome Chris! Congrats too on your new WSM. If I ever get that far south I'll stop by and take you up on your offer. I love checking out new brew pubs. I was just down at Cachuma Lake Recreation Area for The Golden State Battle barbecue competition. If I'm down for it next year, I'd like to visit one of your joints. What and where? I'm master brewer at Solvang Brewing Company. We have locations in Solvang, and Lompoc. I had not heard of that competition, but I haven't been looking because I haven't had a smoker for a while, but now I do. 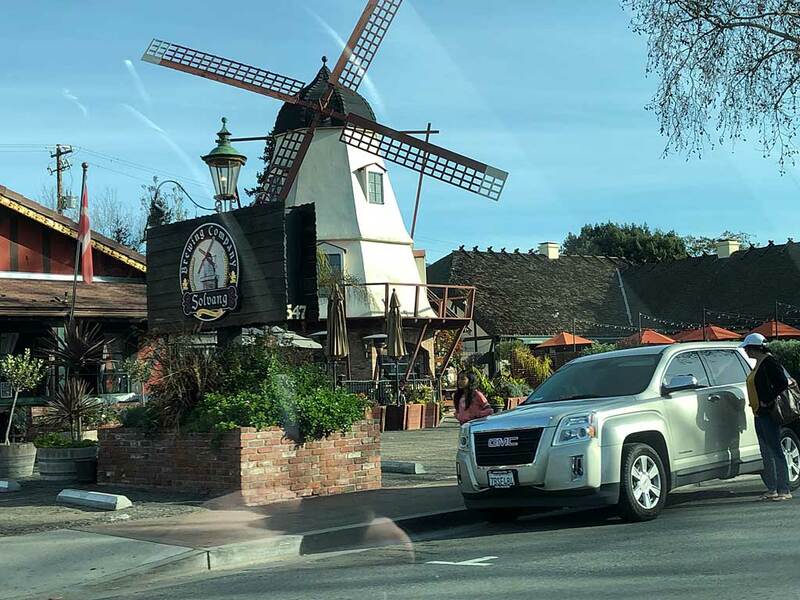 It's quite a coincidence that in my trip report, the second photo includes the Solvang Brewing Company sign.